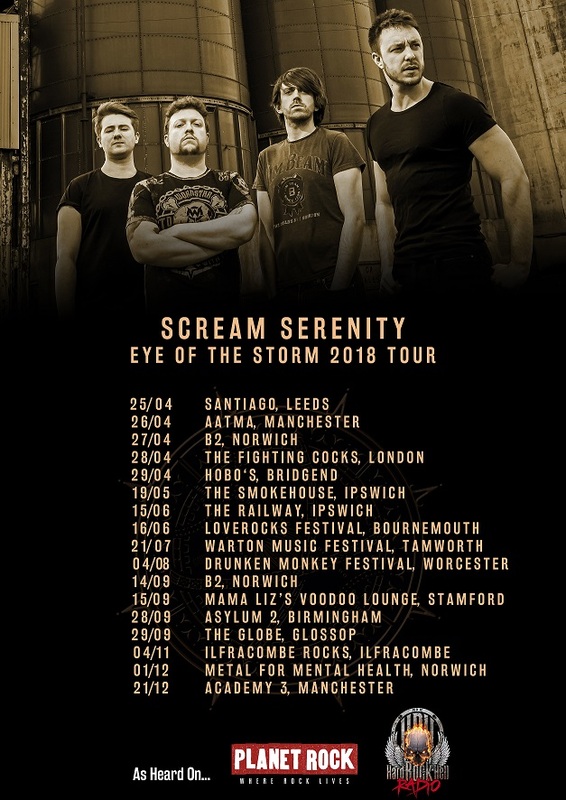 We are incredibly pleased to announce that our Eye of The Storm Tour which begins next week has now been extended across the whole of 2018! Check out all the dates where you'll be able to see us below! Some of the festivals are already very close to selling out so make sure you get in soon if you want tickets! We are ecstatic to announce we will be hitting the road this April for a 5 date Spring Tour! 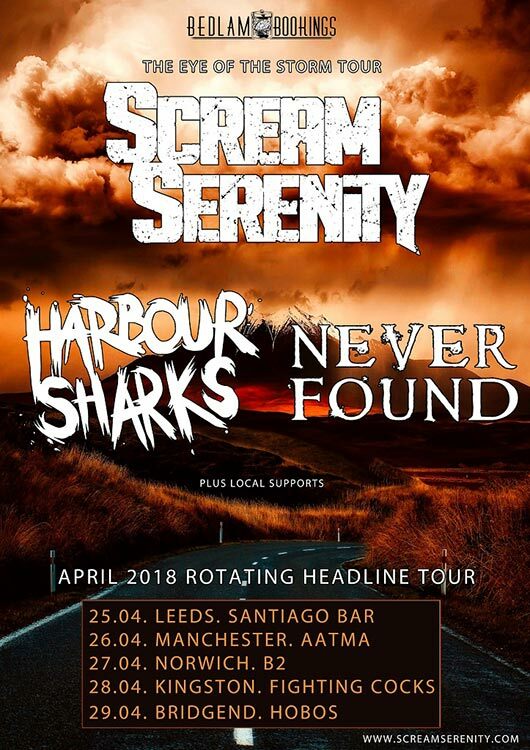 With a rotating headline between us, Harbour Sharks and Neverfound, we can't wait to come play for you all around the country! Online tickets are available NOW from the Gigs page, just click the show you want to buy tickets for from the list of shows! We'll then send your ticket to you in the post! Simple! 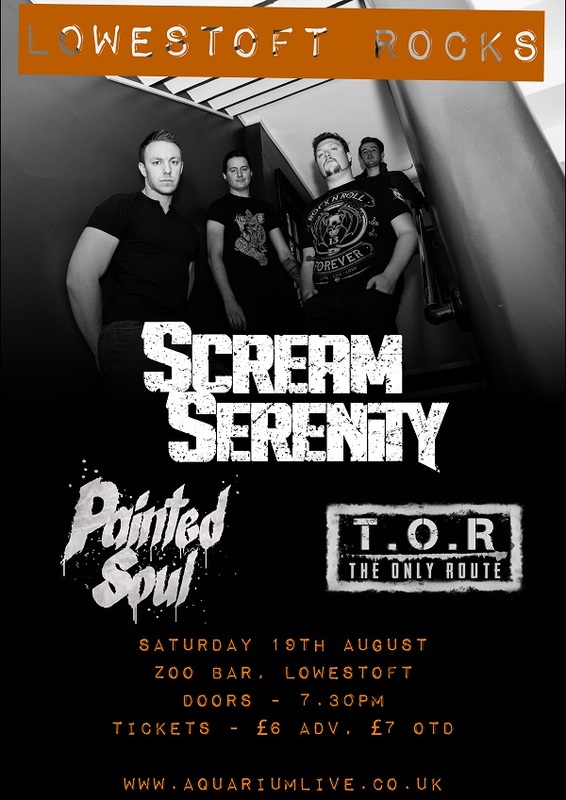 We'll see you out on the road Screamers!! We have a fantastic show coming up at the great venue Nambucca in Camden! We have a Cheap List on the go, all you have to do is let us know if you and any friends are coming (full names) and we'll add you to the list and you can gain entry for only £5! Check out the poster below and let us know via our contact page or on Social Media if you want to come along! We are absolutely ecstatic to announce that from Saturday 13th January our track 'Run Away' will be being played on Wyatt's New Rock Show on none other than Planet Rock! Make sure you tune in from 10pm to hear us on The UK's Number 1 DAB Radio Rock Station and share the love with them when you hear us! You can tune in online Right Here! After years of hard work perfecting our stage craft & writing material; with 2 EP releases and 2 Music Videos under our belt PLUS being signed to 3Ms Music!! Along with loads of other crazy things this road has taken us on so far, we come to this. The release of our much awaited debut album Eye of The Storm. The album is very much a social commentary about being in the middle of all the hardship we face in life; with relationships, recent politics (both national and international) and with finding your path in life. We're incredibly proud of this album and we hope you guys enjoy it as much as we did to bring it to you! 2018 is just around the corner and we have plenty more in store for you all, so keep your eyes peeled! Get your hands on it now from these places! This year we've seen major highlights in the band, from being signed & recording our debut album to interviews, photo and video shoots. And now we're very excited to tell you the first Music Video for the first single 'Good Business' is Out Now! Check it out below! It is with incredible excitement we can announce that our debut album 'Eye of The Storm" will be released on the 1st December 2017! So much has gone into this album over the last several months and to say we're proud of it would be an understatement. We can't wait for you guys to hear it, but for now here's a very small teaser for you all! We want to say a massive thank you to 3Ms Music for seeing something in us enough to sign us, James at Smokehouse Studios for the phenomenal job recording and mixing the album and Gwyn Mathias for a brilliant job on mastering. Also a massive shout out to Craig John for designing the stunning artwork for the album, and Gavin L. for the video. And for a limited time only use code SS29 at the checkout for 10% off! 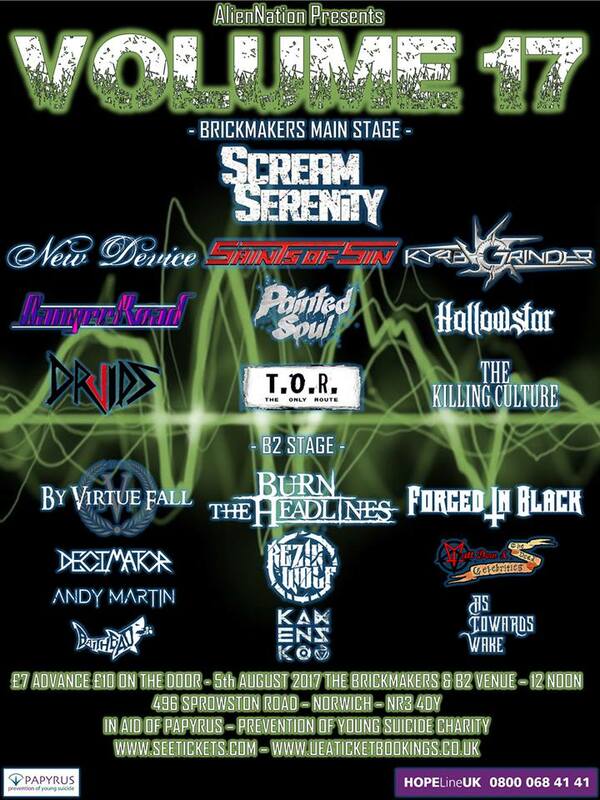 We are very excited to announce we will now be headlining Volume 17 on the 5th August at The Brickmakers, Norwich! We have tickets available for £7 which is incredible value for a festival of 20+ bands! All profits go to Papyrus, prevention of young suicides. If you would like any tickets, click onto our contact page and let us know how many you would like along with your address and we'll send you payment details! This is probably the biggest piece of news we've ever released - we've kept it very much under wraps for quite a while but we can now officially announce that we are a signed band! We'd like to say a massive thanks to 3Ms Music for all they have done so far, it's​ definitely the start of something epic and we can't wait to take this journey with you! A little while ago we headed to Smokehouse Studios down in London to record 3 songs & videos, which were part of The Rock Den Sessions Album. The launch night of the Album will be at The Rock Den on the 22nd April. 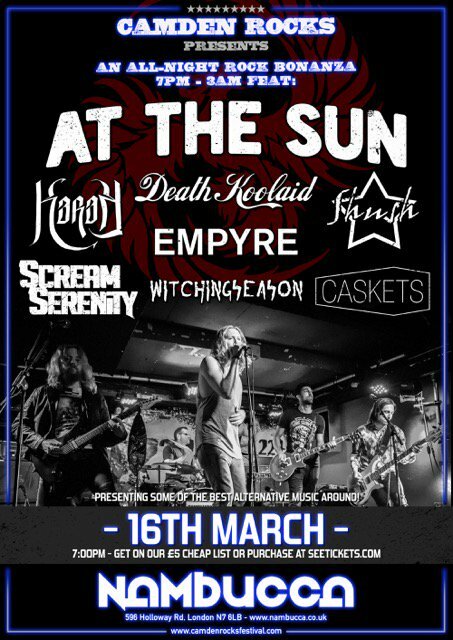 There are some great bands on the line up and we will be headlining the event! Tickets are £7 in advance and £10 on the door. Over the last 2 years or so we've worked incredibly hard; writing, rehearsing and performing. We've released 2 EP's, have our music playing around the world and we've shared stages with some very cool bands. But this announcement is definitely our most exciting yet! 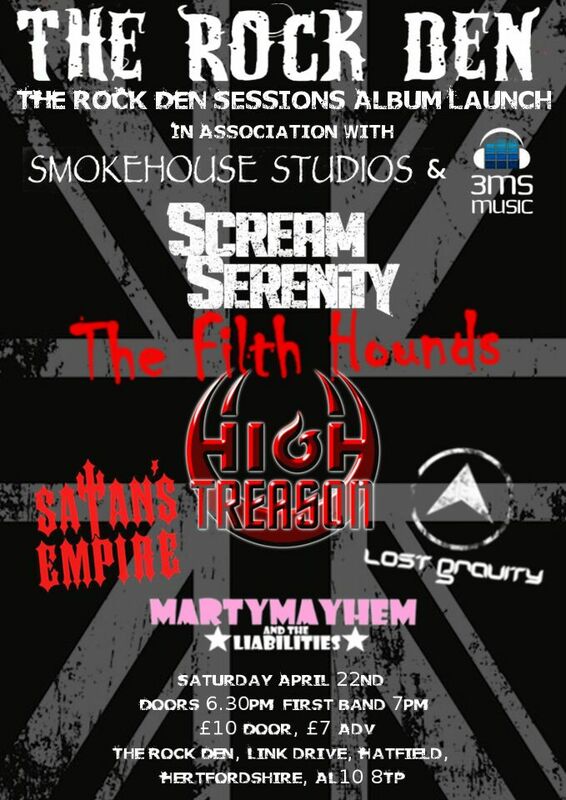 At the end of April this year, we will be heading to Smokehouse Studios in London to record our Debut Album! We have been hard at work since the start of 2017 writing new material for the album and we truly feel it's our best work to date! Back in October we headed to Smokehouse Studios to shoot some live videos; we recorded a well known cover which for those of you who have seen us at a show may have seen us play live. The track needs no introduction, but we feel it's quite apt given this announcement. So click on the video below and enjoy! 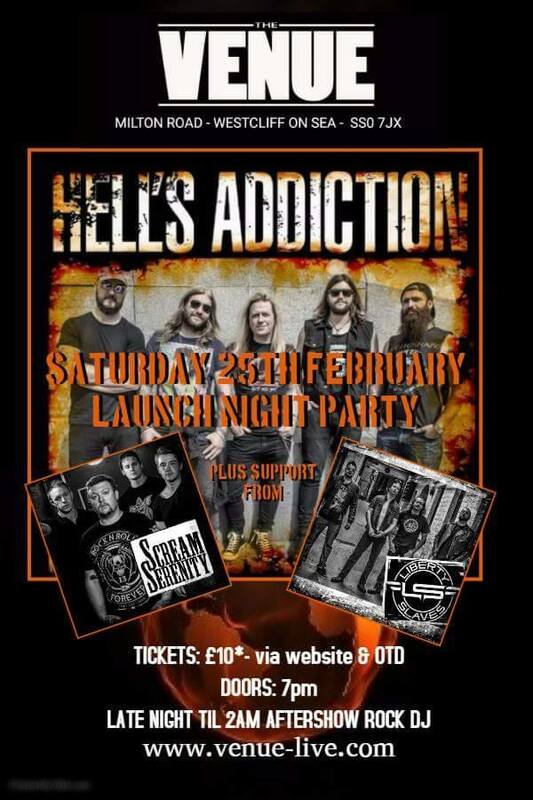 We are incredibly pleased to announce that we will be playing the Launch Party Night for The Venue Westcliff With Hell's Addiction and Liberty Slaves, The night will be bringing Industry VIP's to see the opening show! If you want to be part of this incredible night you can get your tickets Right Here! 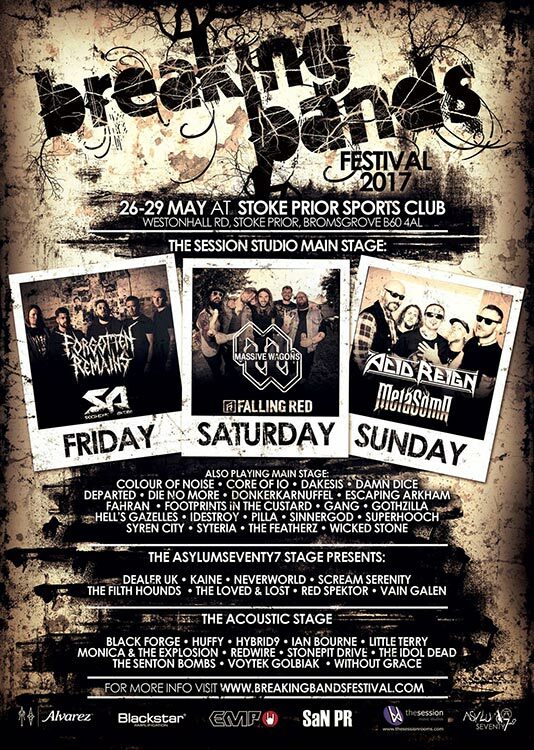 We are absolutely ecstatic to announce that we will be playing the ASYLUMSeventy7 Stage at the Breaking Bands Festival!! We were one of only 8 bands that were hand picked by Dean Archer at The Rock Den to play this festival, hundreds of bands apply and we are thrilled to have gotten on the bill! This is an absolutely amazing festival that we are incredibly proud to be involved with and is definitely worth supporting. Weekend glamping tickets are already 50% sold out, so make sure you get your tickets soon! You can get your tickets Here! 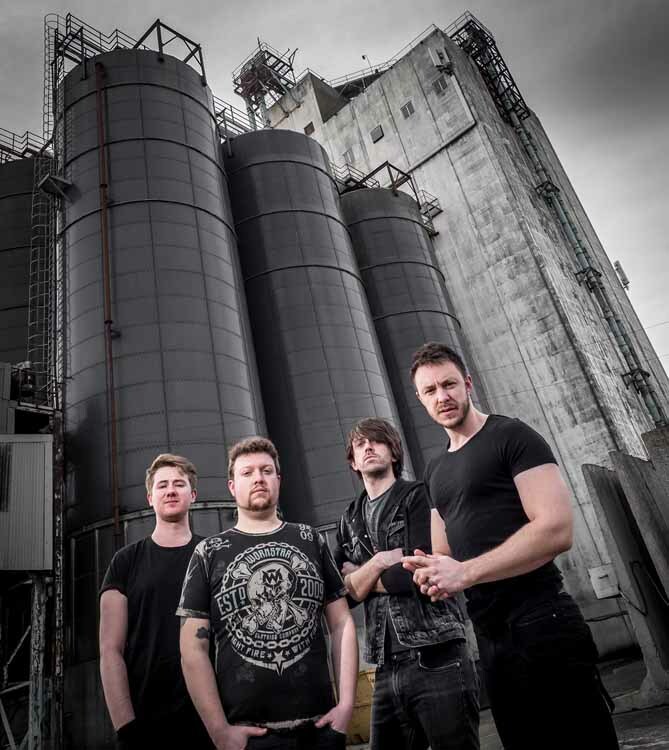 It is with delight that we can announce we will be supporting the absolutely brilliant Toseland at The Waterfront Norwich​ on the 13th October! We have tickets available for you guys to buy, all you need to do is send us a message on any of our social media pages or via the contact page of the Website and we'll give you all the details you need! We've had the Official figures come in and we're very pleased to say that our Music is now being played on over 3600 Radio Stations around the World on AM, FM, MW, Internet and Satellite stations, which is truly incredible! After a fantastic response to our Music Video being released on Friday, today we come to you with some sobering news. Unfortunately our show with Pearl Jamm at the Waterfront this Saturday will be Paul's last show with us. A few weeks back Paul got a new job and it has been taking up more of his time than he anticipated and so is unable to continue his time in Scream Serenity. We completely understand his decision and we all have priorities in life. This is definitely something none of us wanted and was a very emotional time for us all when he told us! We all remain great friends and if the opportunity ever arises on both sides; the door will always remain open for him. 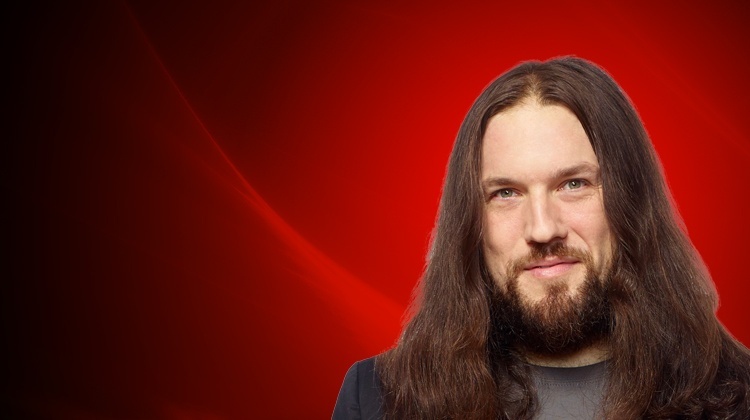 We will never be able to thank him enough for his efforts in the band, the moment he joined us he made us better to become the band you know us to be today and we will continue to grow and progress at a standard he would be proud of. But fear not! We have a replacement lined up and we will announce who soon! For now though, we have tickets available for the show on Saturday so get in touch with us and let's give Paul the send off he really deserves! Today we are incredibly happy to announce that our first ever Official Music Video has been released for Beyond This Land! Head over to our Video page now to watch it in full! We have been confirmed to play The Willow Festival in Dorset on Saturday 17th September! For those of you who don't know what The Willow Festival is; it's a festival dedicated to up and coming, new and unsigned acts. The festival originated in Peterborough and has now branched out to Northampton and Dorset and attracts approximately 50,000 people each year including industry professionals and is also filmed and broadcasted on Sky TV. So if you're looking for a little weekend get away, come and enjoy this great festival with us! Tickets are only £11 for the whole weekend and you can get them from Here! Reviews are still coming in for Beyond This Land and Johnny Main over at Metaltalk.net has given us a fantastic review giving it 4/5 and stating "This band write and perform high quality tunes where nothing is left to waste and nothing is included that shouldn't be." To read the full article click here! Our first show of the year is rapidly approaching! We'll be headlining the All-Star Fest at B2 in Norwich on the 3rd March! For more dates and shows head over to our 'Gigs' Page!